There are multiple artists with this name: 1) Sanctuary is a heavy metal band founded in Seattle, Washington in 1985 consisting of Warrel Dane (vocals), Lenny Rutledge (guitar), Sean Blosl (guitar), Jim Sheppard (bass), and Dave Budbill (drums). Former Metallica and Megadeth guitarist Dave Mustaine was the influential force in getting the band signed to Epic Records. He produced their first album and played guitar on their cover of Jefferson Airplane's White Rabbit. 1) Sanctuary is a heavy metal band founded in Seattle, Washington in 1985 consisting of Warrel Dane (vocals), Lenny Rutledge (guitar), Sean Blosl (guitar), Jim Sheppard (bass), and Dave Budbill (drums). Former Metallica and Megadeth guitarist Dave Mustaine was the influential force in getting the band signed to Epic Records. He produced their first album and played guitar on their cover of Jefferson Airplane's White Rabbit. The band was dissolved in 1991, following pressure from Epic Records to fit in with the flourishing Seattle grunge scene. Warrel Dane and Jim Sheppard disagreed with this change, and left to form Nevermore. In May 2010 Warrel Dane stated that Santuary were to reform with the original line-up to record a new album and tour. 2) Sanctuary is a young gothic metal Dutch band. They're a Gothic Metal band who wrote own material and also performed several covers songs from Epica, Nightwish and Sonata Arctica. 3) Sanctuary was a thrash metal band from Australia. 4) Sanctuary is a heavy metal band from Columbia. They released one demo tape called "La Marca Del Mal" in 2008. 4) Sanctuary was a German heavy metal band who released two demo tapes in the mid-eighties and split up in 1988. 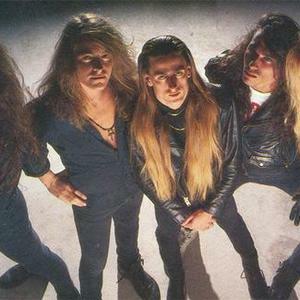 5) Sanctuary was a progressive power metal band from Germany. They changed their name to Deathless Sanctuary in 1990 after their self titled demo was released.